Author, Daniel Richardson for Professional Pet Sitting Etc. Cats are fantastic pets, they are well known for being rather independent but it’s common for them to find new situations such as being introduced to new homes (and new furry friends) quite stressful. We know that getting a new cat is a very exciting time so we want to help make the introductions as smooth and stress-free as possible. It’s important to properly prepare your home for your new cat and to be patient with your new family member. Below, we take a look at how you can help your new cat settle in to your home in more detail. When your cat first arrives at their new home, it is best to keep them confined to one room in order for them to have time to acclimate. If you already have a cat in your home, pick a room that is not often used by your current cat(s). Now you’ve chosen a quiet room in the house, position a litter tray, food and water bowls, a bed, scratching posts and toys around the room. The new cat would also appreciate a couple of hiding places for when they are feeling nervous. Keep in mind that you do not want to put anything that belongs to your current cat with the new cat as this will cause stress and anxiety during a time you are trying to help the new cat settle in. Is it Ok to Leave My New Cat Alone? We know how it is when you get a new pet. You want to be with them all the time and watch their every move to ensure they are settling in. With cats, they tend to benefit from alone time and enjoy their independence. Don’t be afraid to give your new cat space to settle in. Use this article from Tuxedo Cat as a guideline when leaving your cat alone. To further what we have mentioned above about giving your cat space, it is best to give them the freedom of choice and let them decide when they want to approach you for attention. If they aren’t keen, leave them alone and come back later to try again. Sometimes they can be afraid or intimidated if you reach your hand out to touch them. Be patient and give them a chance to get used to their new surroundings. Take things slow, particularly regarding introductions to family and other pets, so as not to overwhelm your cat. How Do I Know if My New Cat is Settling In? You should keep your cat in its room for a couple of days up to two weeks depending on how they are settling in. This gives them time to become accustomed to their new surroundings and to you. You’ll be able to tell if your new cat is settling in by their behavior. When they are feeling settled, they will be friendly, actively playing with toys, rubbing on furniture, eating, drinking and grooming well. If they are pacing, meowing excessively, showing signs of aggression and scratching the doors they may be unsettled and this can be for a variety of reasons. Be patient with them but if you are concerned they are not eating well, a visit to the vet may be helpful. If they are eating well and you think they are frustrated with being confined you might find it beneficial to start the introductions to the rest of the house and other pets sooner rather than later. Once your new cat has settled in, you can now begin introducing them to other cats in the house. It is best to carry out these introductions slowly, below is a step by step guide to ensure smooth introductions. 1) Begin by scent swapping as this allows the cats to become familiar with each other’s scents before physically meeting. Scent swapping can be carried out by swapping a blanket from one cat to the other and vice versa. Scent is extremely important for cats, becoming familiar with each other’s scent will make a dramatic difference to when they meet face-to-face for the first time. Give the cats time to become used to the scent of the swapped bedding and do the swaps a couple of times until there is no negative reaction from either of the cats to the blankets. 2) If you are able to confine your resident cat to a room while your new cat explores more of the house this can help your new cat become familiar with the scents and surroundings without coming into direct contact with your resident cat. This is another way that both cats can get used to each other’s scent. 3) Now that both cats are familiar with each other’s scent, the next step is to find some common ground within the house to use to visually introduce the cats. Allowing the cats to see other with a barrier between them allows you to gauge their reactions and see if they are interested and comfortable to meet. You may allow them to meet on either side of a door that is very slightly propped open, or on either side of a baby gate or glass/ mesh barrier. If you don’t have a suitable barrier you can also use a crate. If the cats seem calm and interested to meet, this is an excellent sign and after a few meetings like this, you can move on to the next step. If either of the cats seem stressed or aggressive, for example they are growling or hissing when they see or directly smell each other, it is best to keep them separate and introduce them more slowly. In this case, continue to scent swap and build back up to allowing them short periods where they can smell each other and see each other with a barrier separating them. When you let the cats see each other, offer them treats and attention and let them know everything is ok. They will begin to become used to each other’s presence, the amount of time this takes depends on the individual cats. Don’t rush the meeting as both cats need to feel comfortable and know that they are not a threat to each other. Taking your time with the introduction will help their relations in the long run so don’t rush it. Remember that problems are more likely to arise if the introductions are rushed, fighting and chasing may occur if the cats are not comfortable or familiar with each other. 4) If you feel that the cats are ready to meet, there are a few ways you can do this. Finding a neutral space to introduce them in and limiting the amount of time they spend together during these first interactions is important. Some people like to introduce the cats during playtime, using toys and treats to help keep the peace. Some people like to introduce cats during feeding time (feeding the cats on opposite sides of the room) but this approach should be taken with caution as sometimes cats fight when food is around. Feeding the cats at the same time in the same room can be a great distraction but it can also make them feel more on edge as they can feel that the other cat is a threat and will take their food. It is important to supervise your cats and keep an eye out for signs of tension such as staring, freezing and fixating. Distract your cats and praise them when it is calm. If your cats have a disagreement, the best thing to do is distract them and separate them. You can distract the cats by throwing a towel over them or making a loud noise and then calmly take the new cat back to its room. The cats will need a couple of days to calm down so go back to step 1 and begin the process again. 5) Once your cats have met a few times and seem comfortable together you can increase the amount of supervised time they spend together. When you feel the cats are getting along and the interactions have been positive, it won’t be long before they can have unsupervised contact. This process will help you introduce your cats but just like humans, some cats simply don’t get along. You may be able to get your cats to tolerate each other but, ultimately, it is up to them whether they become best friends or not. Remember that bringing a new cat into your home will have an impact on your resident cat too, while ensuring your new cat is settling in make sure you also keep an eye on the behavior and habits of your resident cat. Your patience will pay off and before long you will have two happy, settled cats in your home. Hope we were able to help you in adding a new cat to your family. Can cats get down from trees as easily as they go up? 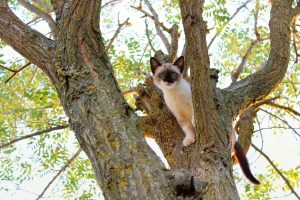 Many people say – Cats will get down on their own, have you ever seen a cat skeleton in a tree……..
Well, unfortunately, once the cat becomes weak and dehydrated, they will mostly likely fall out of the tree, injuring or killing them from the fall. Cats get stuck in trees generally to get away from a dog or wildlife that is chasing them and your cat felt threatened. Cats’ nails are made for them to go forward and UP, they are NOT made for them to go forward and down. 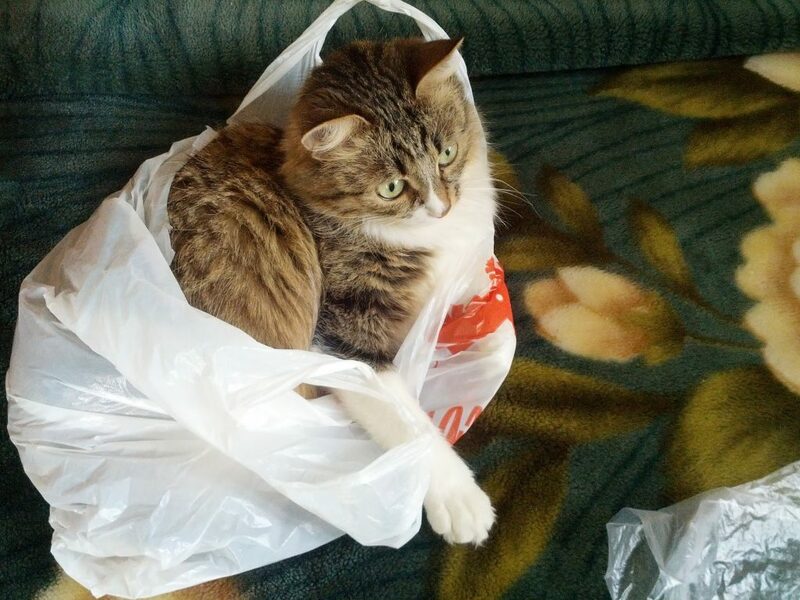 Cats do NOT climb down backwards. It is just not natural for them to do so. There is a cat every now and then that may figure it out and come down backwards, but it is rare. If they are only about 10 – 15 feet up, the cat can most likely jump down. Higher then that and cats may get injured. Many cats have suffered broken bones and death from falling from great heights. If there are tree limbs that are close together that a cat can easily use as a ladder, they may come down when everything is safe and quiet. If a cat has not come down in 6-8 hours, then you will need to intervene. The very best thing to do is prepare for what may happen. Make sure that your cat is in the VERY best health regardless if inside only or cats that are allowed outside. 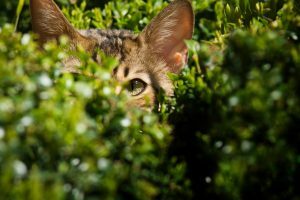 Cats that are allowed to go OUTSIDE unsupervised are at the greatest risk for contracting diseases like rabies and distemper, parasites, tick born diseases, heartworm and more. They are also most likely to be harmed or killed by wildlife, other cats, dogs, people, cars and so much more. The ONE important thing you can do for your OUTSIDE CAT besides keeping him safe inside and only going out with you, is to get them a full check up, physical, parasite check and vaccines every year. Cats that are INSIDE only or only go outside on harness and leash are less susceptible to all of the harmful things a cat allowed outside will face. However, they should always be up to date on vaccines and as healthy as possible. Inside cats are susceptible to Distemper (includes all upper respiratory diseases) which is airborn and can be contracted through open windows and doors from an infected cat that is outside your home. TO PROTECT RESCUERS, YOUR CATS SHOULD ALWAYS BE VACCINATED FOR RABIES. Keep in mind that if your cat, inside OR outside were ever to bite someone for ANY reason, if they were outside and were suspected of having rabies OR came in contact with wildlife/other animal that may have rabies, the cat may be put down and tested for rabies for the health of the person bit. This includes any person rescuing your cat. 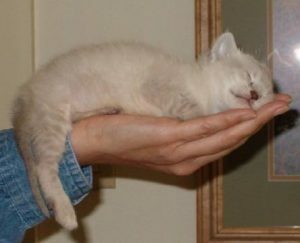 Do not panic, you want to stay calm to keep your kitty calm. Make sure that the area is safe and quiet. Make sure there are no dogs or other animals around. Make sure that whatever threatened them is completely gone. Have only the cat’s favorite person outside, calling the cat’s name to coax them down. Try a laser pointer, if your cat us not too far up (10 feet or less). Make sure your cat sees the red dot and then move the pointer in the path of the easiest way for your cat to come down, in hope that your cat will follow the pointer. All this time, it is important to make sure to keep area quiet and safe while you are inside. Give your cat a few hours to try to come down if they are not too far up. If far up, secure a ladder as close to your cat as possible to give your cat an easy way to come down. Make sure the ladder does not move at all or your cat may not feel safe to use. While you are waiting inside, keep an eye on your cat to see if they are trying to get down. Make sure to keep the area safe and quiet for your cat. If your cat feels threatened in any way, they will NOT move. Now is the time to Call around to see if there is anyone who may be able to help. Some fire departments will help, Some tree companies will help, some professional tree climbers will help. Post on social media, you never know what is out there. However, be aware that everyone will have an opinion, many not so helpful. You are in a vulnerable state worried about your cat and do not need negativity. Ask on social media if anyone can help – people with equipment like cherry pickers, bucket loaders, etc. If the tree is in an area where no vehicles can go, you may need someone who is an experienced tree climber, hopefully, they are willing to help. They will have safety equipment to get up there and down. Keep in mind, If your cat is way up the tree, having someone get close to your cat, climbing up a ladder may scare your cat. If your cat feels threatened, they may go higher up the tree or jump from great heights. 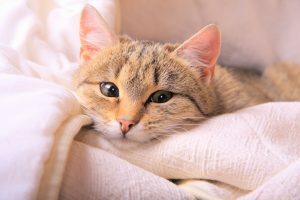 Placing cushions, mattresses or having 4-5 people holding heavy blankets underneath to catch your cat if they jump or fall, will help to alleviate injuries. Even the nicest cat may sometimes feel very scared with all this activity and after being chased up the tree. So be prepared that your cat may scratch and/or bite the rescuer (even YOU). Wear long sleeves, heavy shirt or coat, double thick leather gloves. If you are lucky enough to find someone with professional bite gloves, they are the best protection. Some cats are so scared, they can fight their rescuer all the way down, making it unsafe for both cat and rescuer. Please take as many precautions as possible for safety. Have people down below holding ladders to keep rescuer safe and blankets and cushions to catch your cat if they fall. 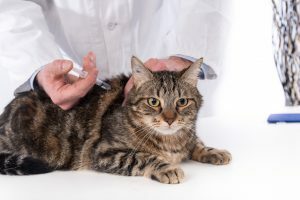 THIS is where it is IMPORTANT for your cat is up to date on rabies vaccine to protect everyone just in case. To keep you and your cat safe, in some cases, bringing a cat carrier up and placing your cat inside maybe easier then just carrying your cat down. Make sure that ALL cat carriers are reinforced. DO NOT try to lower a cat with a cat carrier’s handle. These handles are known to break. Do NOT rely on the cat carrier’s closures that keep the top and bottom together, they are known to let go. Instead, wrap the carrier in some sturdy tie downs and secure to the carrier so that the carrier can not slip out in anyway. If you are lucky enough to find a rescue or someone with a professional rescue net. These can get a cat in and secure to lower cats down to safety. Once on the ground, bring your cat inside, let them calm down. Check them over for any injuries. It is advised to ALWAYS bring your cat to the vet for a full checkup. Especially if your cat was in a tree without food and water for more then 24 hours. If they were chased, they could have been bitten by another animal or if they were hit by a car, they may have fled up a tree in fear. If you notice anything or notice your cat wincing, they may be in pain, please bring to a vet now, internal injuries that you can not see can be deadly. Hopefully, this ordeal had a very happy ending for you and your cat and you both will not have to go through this again. Do you have regular play sessions with your cat? Cats, just like dogs will benefit from regular play. Cats are intelligent and fine tuned creatures that enjoy enrichment games which allow them to express their natural behaviors. They can jump incredible heights, can hear from miles away, and can easily navigate through the dark using their night vision. Cats have many talents which if not used properly can lead to negative behaviors like aggression, anxiety, over grooming, loss of appetite, self mutilation, urination problems, stress, depression, among others. 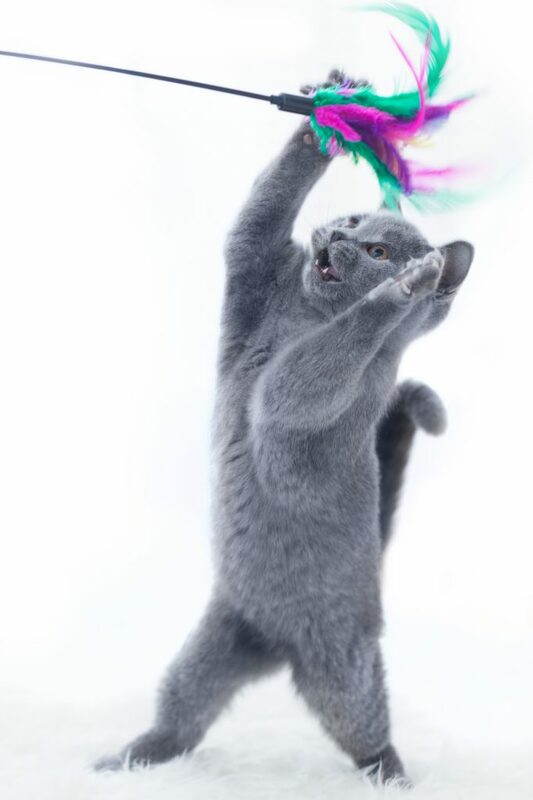 Providing your cat with enrichment games can help increase activity, reduce stress, decrease any mental stagnation, help shy pets and prevent the aforementioned behavioral issues. In this article, we are going to give you the best enrichment games for cats. Food puzzles is an enrichment game for cats which requires the cat to take time and figure out how to get the ultimate prize (that is, treats or food), from a sealed container. This is one of the best games to stimulate cats mentally. Food puzzles for cats can be as easy as cutting a tiny hole in a sealed yogurt container, and putting some yummy treats inside, and then watching the cat paw and roll it around as he/she tries to get the treats out. Any clean plastic container with a lid can also be used to make a hanging food puzzle. You just need to cut 2 or 3 holes around the plastic container’s bottom outer edge, and then place some treats at the center. After that, you can string a cord or rope through the secure lid and hang the food puzzle over the door handle. Once the cat becomes good at the game, you can encourage more exercise by raising the hanging food puzzle higher. Scratching comes naturally to cats. Cats need to scratch to exercise, sharpen their claws, and mark their territory. In order to keep your cat physically and mentally stimulated, and to prevent him/her from scratching on the carpets, curtains and furniture, you should buy or make an appropriate scratching post. You should know that cats like scratching on various different surfaces and positions. There are some cats that prefer vertical scratching posts, while others prefer horizontal/floor scratching mats. Make sure you provide acceptable scratching materials and positions for your cat. You can get wooden or sisal rope scratching posts, or cardboard scratching mats. Consider providing a selection of these all around the house, and make sure they’re strategically placed. Good places to put the scratchers include, but not limited to; near sleeping areas, near windows, nears exits and entrances of rooms, and any other place the cat favors. To train the cat to use the scratchers, you can reward him/her with praise and treats every time he/she happens to scratch appropriately. You can also consider placing toys and catnip near the scratchers to encourage the behavior. Think about playing with the cat as a way of maximizing his/her mental, physical and emotional well being. Cats can benefit from various types of games especially interactive games. Interactive games can involve you holding a fishing pole type of toy so that the cat can focus on being the hunter. You can move the fishing pole type of toy like a prey so that the cat can practice his/her natural hunting skills. Engaging your cat in appropriate interactive games is a great outlet for their natural behaviors. These interactive games can also help strengthen the bond between you and your cat, as you both get to have a good time playing with toys. That said, it’s important to note that cats tend to get bored with toys after sometime, so it’s important to provide just a couple of toys at a time, on rotating basis so as to keep the cat interested. Cats are natural climbers and generally like to be up high. Providing access to vertical or elevated places will make your cat happy as it increases the amount of space available to them. You can provide your cat with a carpeted cat tree with hiding spots. Alternatively, you can obtain ornamental cat shelves which can be easily mounted on the walls in appealing, decorative patterns which allow your cat to use multiple levels in your home, and move through the house through different pathways. You can also bring the outside world to your indoor cat by providing perches. Perches allow your cat to explore the outside (or the inside) world. Remember to keep rotating the location of the cat perches periodically. In our busy lives, we sometimes do not have consistent time for ourselves, never mind our pets. Hiring a pet sitter to come in every day during the week can help your cat’s mentally and physically. Consistent play time can help your cats sleep better and be healthier. Professional Pet Sitting Etc can help. We can come in every day while you are at work and get your kitty that much deserved and needed fun and playtime. Cats love to scratch, and it’s important to understand that scratching is a normal and HEALTHY feline behavior. They love to scratch different types of surfaces, in a variety of positions. This seemingly simple activity provides numerous psychological and physical benefits to cats. Cats scratch to sharpen their claws, exercise their legs, mark their territory, and to reduce stress. Scratching also helps the cats get rid of the old claws/nails so that sharp new ones can grow. Unfortunately the scratching can cause all kinds of damage to your furniture, the curtains, carpet, and many other things in your home. To avoid the damage, keep your cat’s nails trimmed. This should be done about every 4-6 weeks, depending on your cats nail growth. Then offer your cats many different types of scratching alternatives. Cats must have a proper outlet for their scratching urge, therefore, providing a scratching post can save your furniture, carpet and curtains from destruction. A scratching post is basically a pole which stands at about 4 ft tall or more, but can also lay flat on the floor, or can be inclined. The main benefit of a scratching post is that it turns your cat’s attention away from your carpet and furniture. Choosing or making the best scratching post can be somewhat frustrating and you might need to experiment with different types of scratching posts to find one that the cat will scratch reliably. A cat scratching post covered with rough sisal rope is one of most popular options. Sisal material is heavy duty, feels absolutely great to cats, and it shreds under their nails in a very pleasing way. The sisal actually accomplishes the same purpose as the tree bark; it catches the cat’s front claws allowing the cat to pull downwards and release its’ sheath to expose the brand new claws underneath. Sisal posts are eco-friendly, more durable, and they usually last for many years before requiring a replacement. This is another great material used to make scratching posts. Just like the sisal material, it also has a very pleasing feeling and it makes appealing noises when scratched. Economical corrugated cardboard posts are quite easy to replace, and they appeal to most cats. There are some scratching posts which are covered with carpeting and/or upholstery. However, experts advice against using this type of material, as the cat will not understand why it’s okay to scratch some carpeting and not the other. This type of scratching post is basically a polished timber board which is made of hardwood. In their natural habitat, cats normally sharpen their claws/nails against trees, therefore many of them do prefer this type of scratching material. It’s important that the wood be of high quality, otherwise your cat may get injured by splinters. Cats like tall, sturdy posts (4 feet or higher) which do not move around when they’re scratching and stretching. If your cat happens to feel unsteady or uncomfortable on the post, he/she will find a much more solid scratching surface. 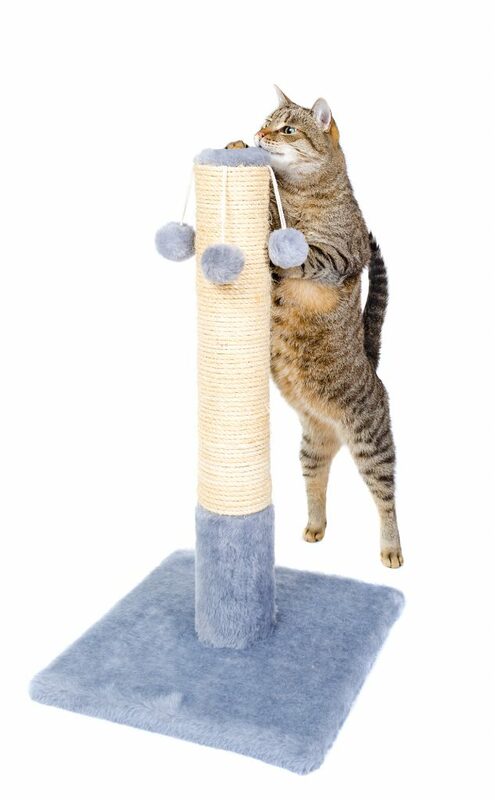 The scratching post should also be tall enough to allow the cat to fully stretch when scratching. This basically means that the cat should,be able to extend his/her body fully, and pull the shoulder and back muscles, which is really important for flexibility and health. If the posts is too short, the cat will have to hunch over in order to use it, and this doesn’t allow for a proper shoulder and back stretch, They will not get the full benefit of exercising, and it might even feel uncomfortable for them. That said, it’s important to note that, the taller the scratching post, the sturdier it should be. Cats can get injured or even killed by a big, unstable post falling on them. Make sure the post has an extra heavy, and wide base, preferably double thick. These are bars, mats or plates which are attached onto a wall or standing on a pedestal. They are great for cats who sharpen their claws while standing on hind legs. These are especially attractive for most cats, as they allow them to sharpen their claws in various different positions.The inclined scratchers also help the cat’s stretch and work more muscles. These are usually planks or mats placed on the floor. These cat scratchers are designed for cats who like sharpening their claws/nails in the horizontal position. That said, you should know that some cats do not like scratching on the vertical scratchers, but will willingly scratch on a floor scratcher. Turn the wooden board onto its’ back, and hot glue the beginning of your sisal rope onto the middle of the wooden board where you’d like the scratching area to start. Flip the wooden board, and then line the sisal rope up against itself with every turn. After a couple of turns, hot glue the sisal rope on the board’s back so as to firmly secure your scratching pad. Continue turning the wooden board til you reach the bottom of the desired scratching section. Now, hot glue the back of the wooden board to properly secure the sisal rope, and cut the rope. Hot glue the beginning of the yarn to the top, back of your desired scratch area, and twist the wooden board to make a nice pattern with the yarn. Now, tie off the end of the yarn, and secure it with hot glue on the board’s back. Repeat this with a different colored yarn. Now trim any excess yarn, and securely twist the eye hooks into the top back of the wooden board. Thread the twine through the eye hooks so as to create an “over the door” type of feature. Hang your scratcher and let the games begin! Remember, you should make sure the scratcher is sturdily supported, because the cat will not use it if it is unsteady or wobbly. Another Do It Yourself Scratcher is to use the poles in your basement. The poles are used to hold up the main support beams for the house. I just used sisal rope wrapped around the entire pole. Starting at the bottom with hot glue, then wrap around and around. Hot glue each ending. I used SIX 50 foot rolls to go from the bottom to the top. My cats love climbing all the way to the top. Have You Ever Heard of Feline Audiogenic Reflex Seizures? Does the sound of someone chewing their food or tapping their fingernails make you cringe? Is there a common sound that doesn’t typically bother others, but can easily and quickly send you over the edge? If you have a kitty companion, you may not be alone. A bizarre seizure disorder affecting felines was discovered a few years ago in the United Kingdom. Common, everyday sounds seemed to trigger these epileptic-like seizures, accompanied with various symptoms such as loss of balance, convulsions, running in circles, restlessness and freezing in place. Noises that induced these seizures included things as simple as the clicking of a TV remote control, rustling of a newspaper and a variety of other normal household sounds. Researchers began investigating this odd phenomenon and soon learned pet parents from around the world witnessed the same reactions to certain sounds in their own felines. The one factor almost all cases had in common was the affected cat’s veterinarian having no explanation for the condition, and the general disbelief that sound was the trigger. Among the 96 cats studied, all were affected by one or more of these sounds, but the Birman breed proved to be particularly vulnerable. The cats in the study all ranged in age from 10 to 19 years, with the average age being 15, leading researchers to conclude a seizure disorder may be overlooked by veterinarians as older animals naturally tend to have other health issues that are more obvious and recognizable. Thanks to the UK researchers, FARS is now a known and recognizable disorder and the kitties who suffer can be treated with sound aversion and anti-seizure medication. If your kitty companion experiences any of the signs that go along with FARS, seek veterinary attention and mention your suspicion that your kitty may have the disorder. Ow, I don’t feel good! We’ve all heard of gingivitis, that nasty swelling of our mouth’s tissues that can give us such oral distress as painful ulcers, bleeding and tenderness and can lead to periodontal disease if not treated. Well, did you know your cat can suffer the same fate if you don’t care for her teeth as you do your own? That’s right, cats can develop a disease known as feline stomatitis which, unfortunately, is quite common in adult cats. 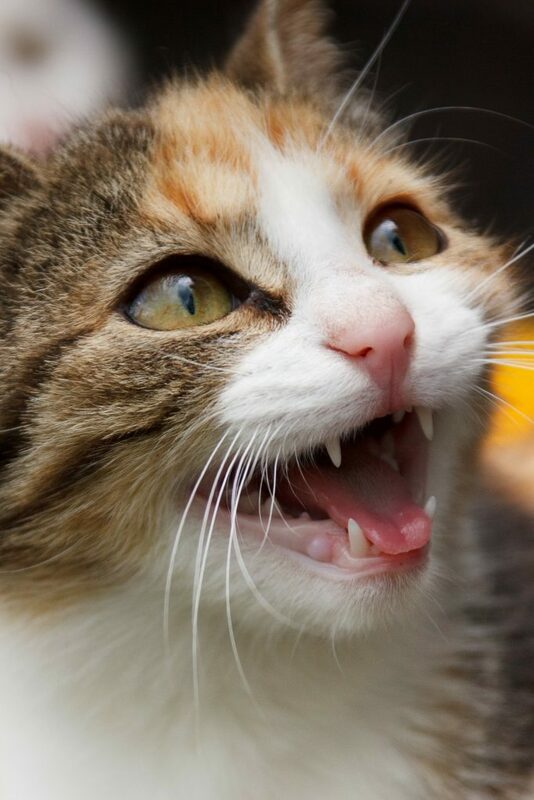 So, how do you know if your favorite feline might suffer from stomatitis? How do you know for sure that your cat has stomatitis? If you notice any of the above signs, make an appointment with your cat’s veterinarian for a check-up. Be aware, kitty may need to be anesthetized in order to allow a thorough examination of her mouth and to prevent any undue pain during the exam. While under anesthesia, the vet may opt to clean kitty’s teeth and, perhaps, get a gum tissue sample for lab review. And x-rays may be necessary to determine the extent of the disease. As well, specific blood tests may be done to check for the chronic viral infections mentioned above. If it is determined your cat does indeed have stomatitis, what can be done? Treatment of stomatitis varies depending on what caused the disease in the first place. With some cats, teeth extraction is necessary in order to remove the mouth surfaces that are often attacked by the bacteria that causes the disease. In others, antibiotics, steroids and/or pain medications may do the trick. Also helpful during treatment and for the remainder of your cat’s life is the maintenance of good oral hygiene, including tooth-brushing, oral additives in your cat’s water dish, and treats that are made specifically for tooth-care. You can also focus on providing your cat with a high protein, low carbohydrate diet with a protein source not previously encountered by your cat’s digestive system. As well, CoQ10 and zinc supplements have been shown to combat stomatitis. So, as you can see, proper dental care is as crucial for your cat’s health as it is for your own. 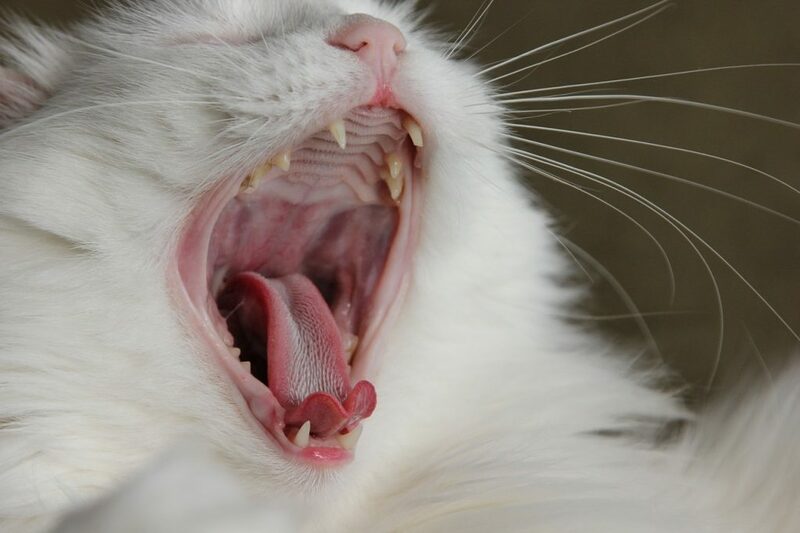 By paying attention to your cat’s behavior, maintaining a good oral health regime, and possibly changing your cat’s diet you can keep that pesky and painful stomatitis at bay!